(Chinese: 老子; pinyin: Lǎozǐ; Wade-Giles: Laosi; also Lao Tse, Lao-Tzu, Laotze, Lao Zi, Lão Tử, and other variations); philosopher of ancient China and a central figure in Taoism (also spelled "Daoism"). Laozi literally means "Old Master" and is generally considered an honorific. 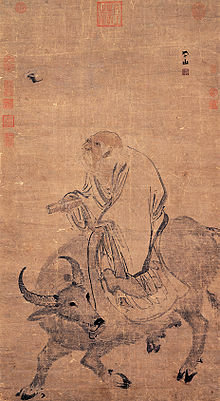 Laozi is revered as a god in religious forms of Taoism. Taishang Laojun is a title for Laozi in the Taoist religion, which refers to him as "One of the Three Pure Ones".